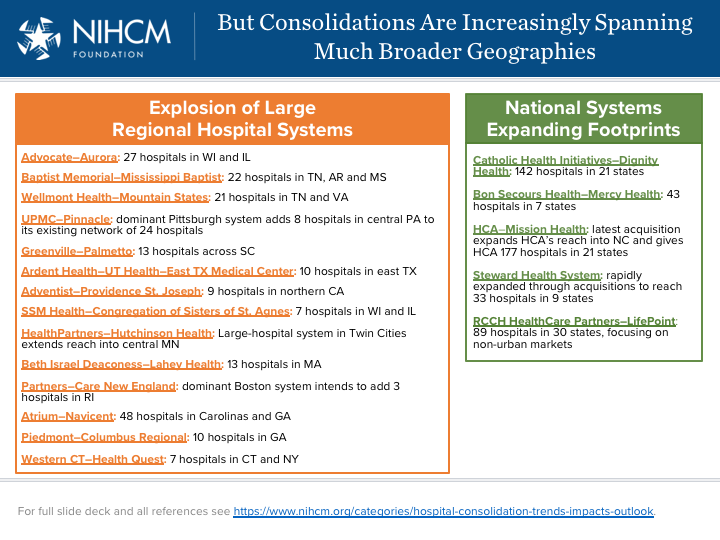 The National Institute for Health Care Management (NIHCM) has some nice slides describing trends in hospital consolidation. First, we see a trend of increased hospitalizations over time. Further, these mergers are not small. 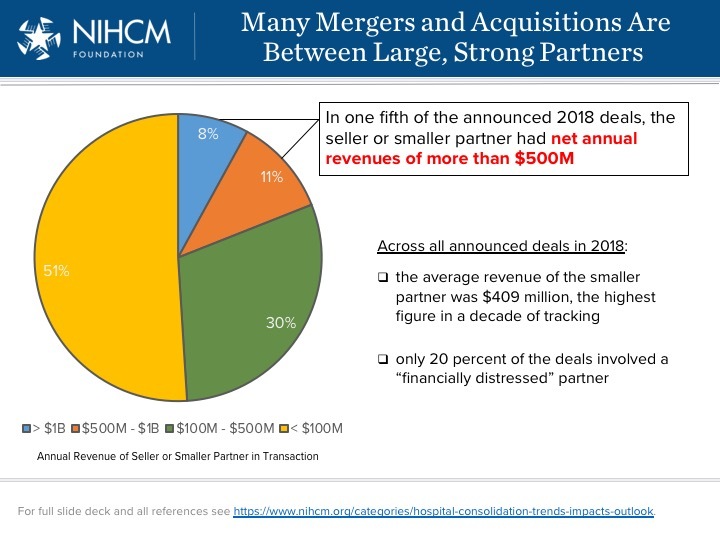 In 49% of cases, the acquired (i.e., smaller) hospital has revenue of >$100m and in 19% of cases the acquired hospitals has revenues of more than $500m. Continued mergers over time have lead to the emergency of very large regional and national hospital systems. In my home town of Milwaukee, Aurora dominates with multiple hospitals within the metropolitan area. While mergers have the potential to increase efficiencies due to economies of scale, any efficiencies captured are rarely passed on to consumers. As I summarize previously, typically these mergers largely result in higher prices. Next Post Next post: What is confounding and how do you deal with it?